5 Myths about exhibitions busted! 5 Myths about exhibitions busted! ← What goes behind a striking exhibition presentation? 5 Myths about exhibitions busted! Myth 1 : Exhibitions are an expensive affair –A good number of companies refrain from participating in exhibitions mainly because they think it’s expensive. Just like any other marketing strategy exhibitions too require certain amount of investment. Consider the amount you spend on exhibitions less of an expense and more of an investment. Booking exhibition space, hiring exhibition booth agencies and commissioning an exhibition stall does require money but the return on investment of exhibition is incredible too. You need to take into account the perks and benefits you will reap off your participation and then you will realize that you are getting back every bit of money’s worth. Myth 2 : You cannot just exhibit once! –Often company representatives go to exhibitions as visitors and notice the exhibition stands of the same brands over and over again and create a misconception that to milk your money’s worth you need to participate in exhibitions, regularly. Sure, regular exhibition participation delivers potent results but participating in exhibition once is not a crime either. You can exhibit as many times as you want, as often as you want and as per your budget constraints. Many exhibitors exhibit often because they receive high return on their investment and they want to create an unmistaken identity for themselves in the market. Myth 3 : You need a big team for the project – No doubt, a lot of preparation goes behind a show but sure you do not need a big team for your project execution. Many exhibitors assign the job to one project manager that handles the coordination with exhibition stand builders and other agencies. In fact a small team works efficiently and reduces the amount of expense as well. Myth 4 : It is a time consuming activity – Exhibition planning and execution is not a gruesome or time consuming activity. With proper research and planning you can set up your exhibition presentation promptly. The only thing you need to do is chalk out your plan smartly and avoid procrastination. Book your exhibition space at the earliest to avoid last minute hassles, hire exhibition stand designers immediately after and you are pretty much sorted. 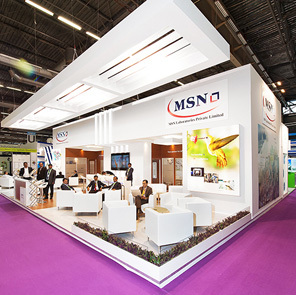 A good exhibition stand builder will take complete responsibility of your exhibition booth for you; hence commission your booth a reliable one. Myth 5: It is just for specific sectors – One of the most popular myths about exhibitions is that it is only for specific industries and sectors. A decade or two ago, this might have been true, but not anymore. Thousands of exhibitions are held every year for every sector under the sun. From the FMCG sector, to IT, to steel, to telecom; you name the industry and there ought to be an exhibition for it. Over the years, both B2B and B2C industries have realized the potential of exhibitions. 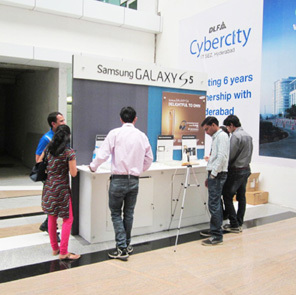 Exhibitions influence sales, brand reputation, brand image and help to build a strong relationship with consumers. If you haven’t exhibited yet, now is the right time to venture into exhibitions and put your brand out there in the market.